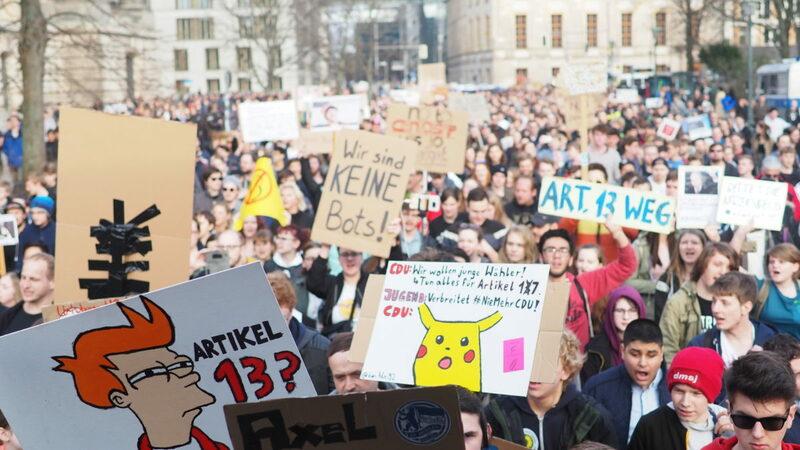 Today marksed the largest street protests ever in the history of internet freedom struggles, with more than 100,000 Europeans participating in mass demonstrations across the region -- more than 50 cities participated in Germany alone! From Netpolitik's early summary (English robotranslation): "In Berlin, the demonstration was about half an hour, if you waited along the way from the beginning to the end. We have experienced many network protests in Berlin. That was bigger today than any before, even counting the big data retention protests or ACTA." There has never been a better time to pledge to vote against MEPs who support the Directive and then contact your MEP to let them know. The final debate is Monday at 0900h CET, with the vote scheduled for 1200h CET.